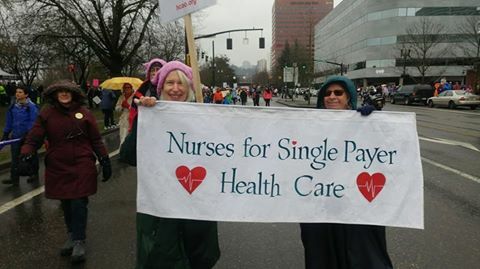 Nurses for Single Payer (NFSP) is a Portland-based organization of energized nurses who believe that health care is a human right. As an active coalition member of Health Care for All Oregon (HCAO), we focus on informing nurses about the active and growing campaign to bring universal, publicly funded health care to our state. Nurses are strong and respected voices in our communities, and we believe that nurses can lead the way to a single payer system! We have a dynamic board and group of volunteers, and invite you to join us and get involved. Does your health insurance company make you sick? Help us treat this illness! Sign up for updates, invite us to make a presentation, educate yourself about single payer health care, check out our Facebook page, or make a donation! Check out our new photo gallery, too! 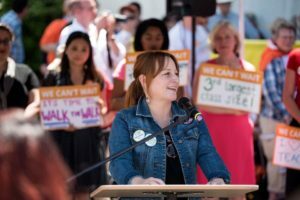 We’ve been busy advocating for single payer in 2018! Check out our January 2019 Newsletter by clicking here to read about some of our activities. Find out how YOU can get involved! Happy spring! Nurses all over Oregon are involved in health care advocacy these days. Read the current NFSP newsletter here. You can click the arrow in the upper right to enlarge, or click “download” below. This entry was posted on April 24, 2018. 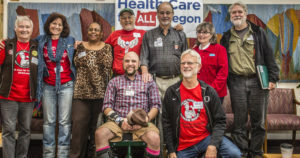 Activist nurses in Oregon have been busy lately: celebrating the victory of Measure 101, working toward Health Care as a Human Right in the state legislature, and co-sponsoring events with Health Care for all Oregon, our statewide coalition! Click the arrow in the upper right to expand the newsletter, or download it (link below). This entry was posted on February 20, 2018. Read NFSP President Carole Most’s letter to nurses, and find out how to get involved. Check out the stories of the amazing activist nurses who joined the board of NFSP in 2017, and what they’ve been up to! And, for the most up to date news, “like” our Facebook page. Click on the arrow in the right upper corner of the newsletter for a larger display. This entry was posted on January 5, 2018. 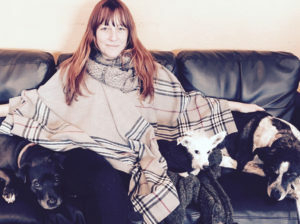 Take a look at our September 2017 newsletter, edited by NFSP Vice President Rachel Prusak! Read the newsletter right here, or click the “pop-out” button in the upper right corner for a larger format. This entry was posted on September 11, 2017. 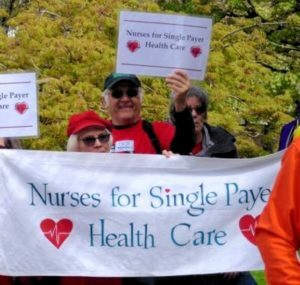 This spring, nurses all over Oregon have stood up to fight against cutbacks to health care, and to support a single payer model of universal health care. We have testified; we have rallied; we have lobbied; we have reached out to other nurses and to our community. We are taking leadership roles in HCAO and in our nursing organizations. Besides single payer legislation, we have supported state bills which will increase access to health care: adequate state revenue, Cover All Kids, Reproductive Health Equity, reforms of CCOs, bills to control the costs of expensive medications and more! 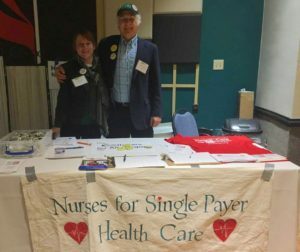 On April 20, 2017, many of us went to Salem with HCAO in support of SB 1046, the state single payer bill. Two nurses, Mary Lou Hennrich and Lisa Miyamoto, provided superb testimony before the Senate Health Care Committee. Read their statements here and here. 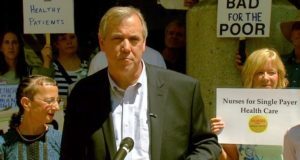 On May 19, nurses joined Sen. Merkley at a press conference announcing his introduction of two bills recognizing and supporting the essential role of nurses in the health care system. Nurses at the press conference made passionate statements in support of access to health care, and NFSP were present with our signs and banners. 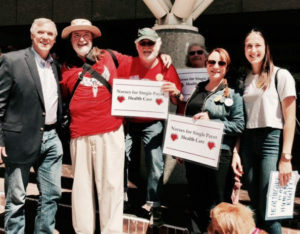 Click here to read the press release, including inspiring statements from nurses Teri Mills and Maureen Andersen, click here to watch the KATU news report, or click here to watch a livestream of the rally itself on Sen. Merkley’s Facebook page. This entry was posted on June 16, 2017. L to R: Panelists Bob Gross (Portland Jobs with Justice); David Young (Nurses for Single Payer); Rachel Prusak (Nurses for Single Payer); and Hyung Nam (HCAO). 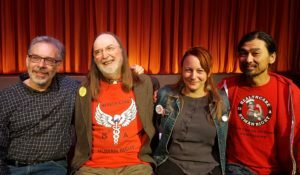 Nurses for Single Payer (NFSP) co-sponsored the film Now Is The Time: Healthcare for Everybody, at Portland’s Clinton Street Theatre. Following the film, panelists and the audience participated in a spirited discussion about single payer health care and how to make it a reality here in Oregon. This entry was posted on May 1, 2017. 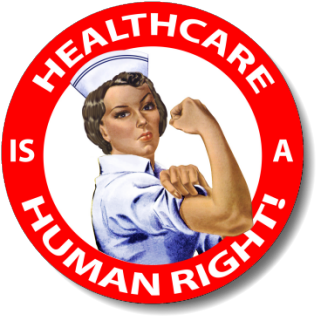 Nurses for Single Payer is growing, and we elected Board members and officers this month. Please congratulate our new officers: Carole Most, President and Rachel Prusak, Vice President. Continuing as officers are Kathy Birch, Secretary, and Tom Sincic, Treasurer. New Board member J.R. McLain joins David Young and Betsy Zucker. This entry was posted on April 17, 2017. 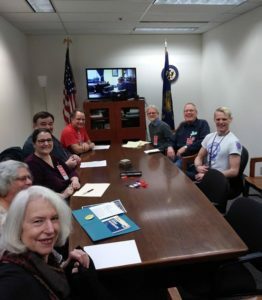 Nurses’ struggle for universal, publicly funded health care takes on increased urgency now with the threats to health care access on the national stage, and budget woes here in Oregon. Many of us have taken action. We now have an opportunity to push even more strongly and vocally for single payer health care as the right solution to what ails the current health care system, while continuing to fight against cutbacks to current programs. Budget Deficit: Oregon faces a very large budget deficit with the defeat of Measure 97. It is essential to raise additional revenue, in order to avoid cutting essential health care services for our most vulnerable citizens. Contact your state legislators and let them know that you support raising revenue. 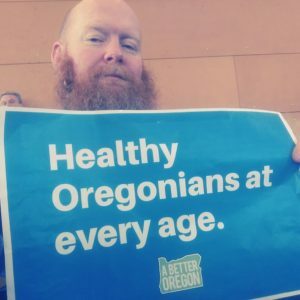 Rand Study on health care financing and next steps to single payer: The long-awaited Rand Corporation study of Oregon health care financing has been released (summary here; full report here). It confirms single payer as a viable health care financing plan. State Sen. Michael Dembrow will be asking the legislature to establish a Task Force for implementation (see article in the Lund Report), and we will be mobilizing in support of this legislation. Other Oregon legislative priorities: Click HERE for good summaries of the bills HCAO and NFSP will be following and supporting in this legislative session. These will be updated regularly, as bills move through the Legislature. We encourage you to use this information and stay in touch with your legislator. There is renewed interest in national health care. 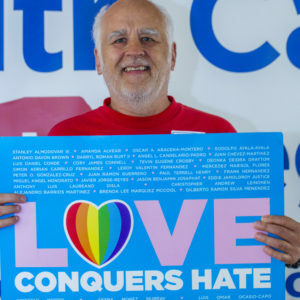 Check out the the new national Campaign for Guaranteed Healthcare, a coalition of organizations and individuals advocating for Expanded and Improved Medicare for All Act, H.R. 676. This entry was posted on February 4, 2017.